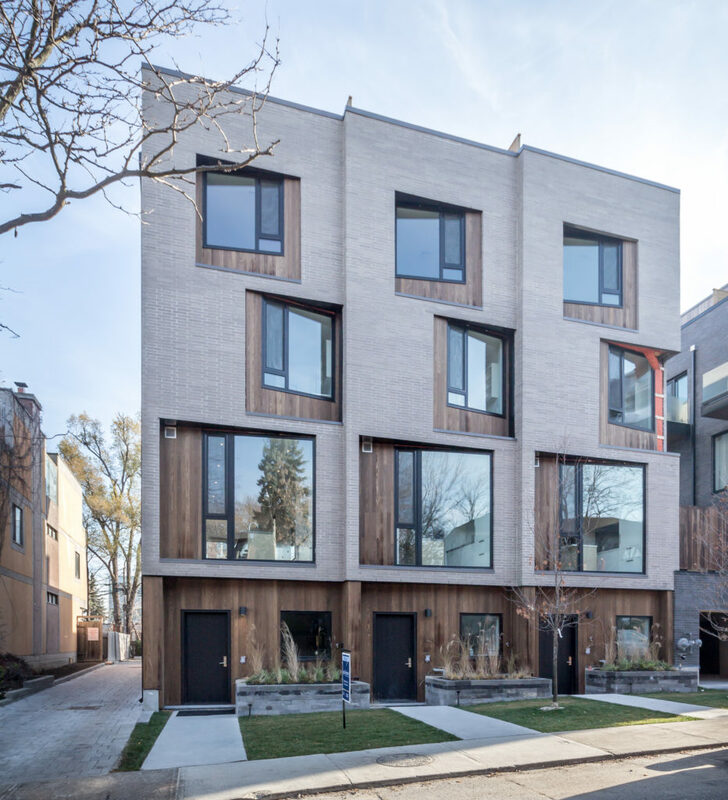 An animated, fun, edgy and contemporary residential project, Core Modern Homes aims to attract Toronto’s growing number of young urban families. The site’s neighbourhood is a mix of residential and office buildings, most of which were converted to their current uses. A unique project for its area, the aim of Core Modern Homes is to re-integrate residential use to the streetscape, providing direct links from each unit to the street level. 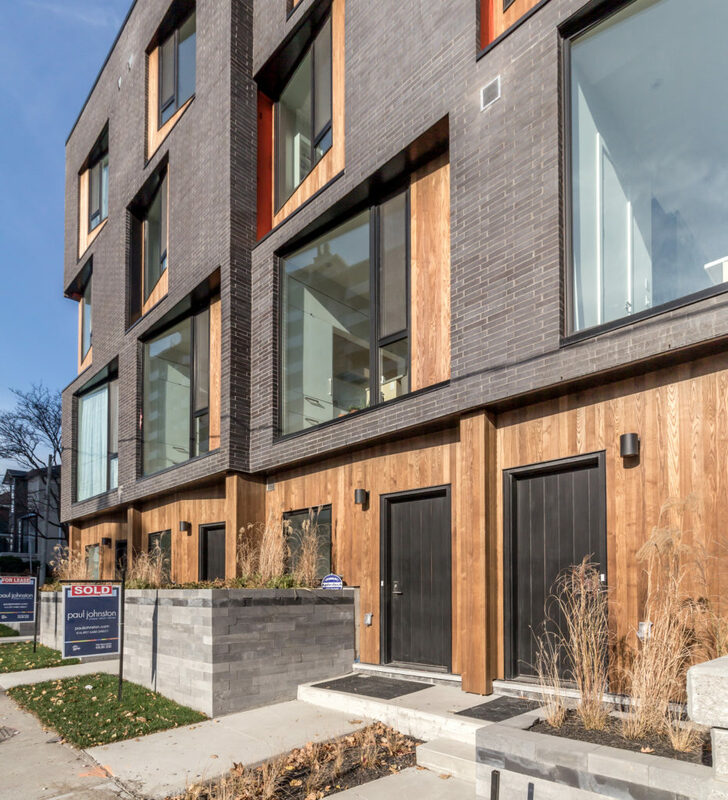 With varying materiality, including low profile Brick, glass and wood veneer panels, the textural qualities of the design enhance the pedestrian and residents’ experience. Turner Fleischer took this design concept to a finely detailed, well executed built form, from a design that was inherited.